M Afridi has created the deal Khan travel. Blenda is going to Luxembourg City. Privatejets has created the deal Russia World Cup 2018 by Private Jet. Helen is going to Lisboa. Ivete is going to Itália. Travelers are voting Lapa Bridge and Rio-Niteroi Bridge as the best bridges in Rio de Janeiro. 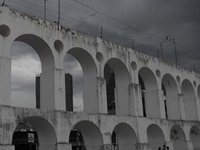 You can find 2 bridges in Rio de Janeiro NCR and 7 bridges in the country of Brazil. 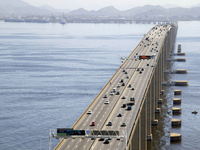 Our members favorite in Rio de Janeiro NCR is Rio-Niteroi Bridge and Lapa Bridge is the top pick in Brazil. Want more? Check out our map of bridges in Rio de Janeiro.